During my weekend visit to Saint Mary’s Cathedral in Limerick, and to Saint Flannan’s Cathedral in Killaloe, Co Clare, I stayed overnight in Adare, which is just 16 km south of Limerick City on the Limerick-to-Tralee road. Adare, which has a population of about 2,500, is one of the prettiest villages in Ireland and is a designated Heritage Town. Although it dates back to mediaeval times, and perhaps even to pre-Anglo-Norman times, the present village is largely an early 19th century creation by the Quin family, Earls of Dunraven. The first fortress in the area was an early ring-fort, which was later fortified by the O'Donovan family, who were the rulers of the region until the late 12th century. After the arrival of the Anglo-Normans, the fortress passed to the FitzGeralds of Kildare, who built a castle on the site. The Desmond Castle was built in the early 13th century and became a strategic fortress during the following turbulent years. Adare was developed in mediaeval times by the FitzGeralds of Kildare, and the area remained in the hands of the Earls of Kildare for almost 300 years. Following the rebellion of Silken Thomas in 1536, Adare its castle were granted to the FitzGeralds, Earls of Desmond, who gave the castle its present name. I was staying in the Dunraven Arms Hotel, which was originally built as a coach house in 1792. This family-run, four star hotel retains old-world charm, and was the 2014 Georgina Campbell Guide Hotel of the Year. I woke on Sunday morning to a beautiful view across fields and the river towards Saint Nicholas, the Church of Ireland parish church in Adare. Saint Nicholas’s Church is just a short walk from the village and stands on the banks of the River Maigue. It was founded in 1316 as an Augustinian Priory by John FitzThomas FitzGerald, 1st Earl of Kildare. The priory was suppressed at the Reformation. In 1807, the church of the Priory was given to the Church of Ireland as the parish church and was repaired and renovated. In 1814, the refectory was roofed and converted into a schoolhouse. Between 1852 and 1854, a second restoration of the church was undertaken by Caroline, Countess of Dunraven. It remains the Church of Ireland parish church and is one of the finest examples of a mediaeval Irish church. In the old graveyard, a second church or chapel of ease dates from the 16th century, and several members of the Dunraven family are buried there. After a breakfast, I took a stroll along Adare’s pretty Main Street. The street is noted for its beautiful stone buildings, thatched houses, mediaeval churches and ruins and the village park. Many of these thatched cottages and pretty houses are now restaurants, fashionable boutiques and arts and crafts shops. But the Main Street was laid out and the cottages were built in the 1820s by Lord Dunraven for his tenants. Soon after, the Dunraven family began building Adare Manor in the Gothic style in 1831. Further down the street, on the same side as the Dunraven Arms Hotel, I stooped to admire the former Trinitarian Priory in Adare. This was the only known Trinitarian monastery in Ireland, and was built for Trinitarian friars who may have come to Adare from Scotland. 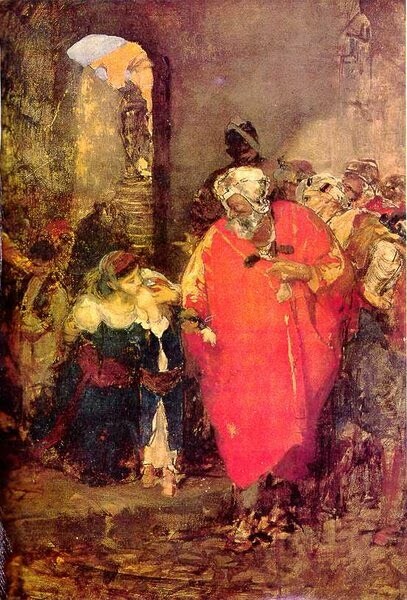 This order was founded in France during the Crusades to raise ransoms to rescue Christians captured by the Moors. The priory was built by the FitzGerald family in 1230 but after the priory was supressed at the Reformation the church fell into decay. The abbey was restored in 1811 by the 1st Earl of Dunraven as the Roman Catholic Parish church, and was repaired and enlarged in the mid-19th century. Today it is known as Holy Trinity Abbey and continues to serve Adare as the Roman Catholic parish church. Adare had a third mediaeval monastic house in the Franciscan Friary on the banks of the River Maigue, although it has never been restored. This looks like many monasteries built in Ireland in the 14th and 15th centuries, and was founded in 1464 by Thomas FitzGerald, 7th Earl of Kildare, and his wife Joan, for the Franciscan Friars of the Strict Observance. The friary was completed two years later but was suppressed at the Reformation. It remains in ruins, but the surviving walls give a hint of its former elegance. The title of Earl of Dunraven and Mount-Earl was created in 1822 for Sir Valentine Quin (1752-1824), who also had the titles of Viscount Mount-Earl, Baron Adare and baronet. Windham Henry Quin (1782-1850), the 2nd Earl of Dunraven, changed the family name from Quin to Wyndham-Quin. Windham Thomas Wyndham-Quin (1841-1926), 4th Earl of Dunraven was Under-Secretary of State for the Colonies (1885-1886) in Lord Salisbury’s Conservative government. He played a decisive role in land reform in Ireland through the introduction of the Wyndham Land Purchase Act (1903), which gave tenants the right to buy out their landlords. He was also a Senator in the first Irish Senate (1922-1926), which gave him a seat in both the British and the Irish parliament. The titles became extinct five years ago with the death of Thady Windham Thomas Wyndham-Quin (1939-2011), 7th Earl of Dunraven. He had lived at Kilgobbin House in Adare after Adare Manor was sold in 1982 and since 1987. Adare Manor across from the hotel was closed, and steel barriers blocked the entrance. The house was sold by Dunraven family in 1982, and in 1987 it was bought by an American businessman, Thomas F Kane. The Adare Manor Hotel was bought last year by the Limerick businessman JP McManus, his wife Noreen and the McManus family, reportedly for €30 million. But the place is now closed, and many of the contents were sold at a two-day auction a month ago [28 and 29 January 2016]. Over 1,800 items were sold, from colonial four-poster beds to paintings. They included glass and brass chandeliers, three baby grand pianos, desks, dining tables, chairs, dining room equipment and furniture, all the pairs of wing back armchairs from the oak drawing room, coffee tables, glassware, serving dishes, large silver plated candelabra, kitchen contents and all the clubhouse bar furniture. There were 45 red tub armchairs, curtains, carpets, lamps, lighting, mirrors, paintings and prints. The contents of about 30 bedrooms were purchased by another hotel in a private deal, but the sale included entire contents from bedrooms like the State Room and the Presidential Suite, including the bed in which Bill and Hilary Clinton once slept. Should they return, the Clintons may have to stay in the Dunraven Arms Hotel. Drumcree Parish Church ... is this the image of the Church of Ireland that many have around the world? The Church of Ireland has been a polite church. Since disestablishment, we have been a Church that has found it difficult to relate prophetically to the wider political culture, and even to the wider culture itself. Reconciliation means being reconciled to God and reconciled to one another. But “how reconciled” are we with one another? One of the symptoms of a dysfunctional family is shown when those who have been hurt in the past try to deal with those hurts in the present and are told by other members of the family that they would be better off to forgive and to forget. But it is impossible to do both, to forgive and to forget. Unless we remember, we cannot reconcile ourselves with the past. And failing to remember the past creates a dysfunctional identity in the present, which leaves us, therefore, with no possibility of moving forward, honestly and equipped, into the future. 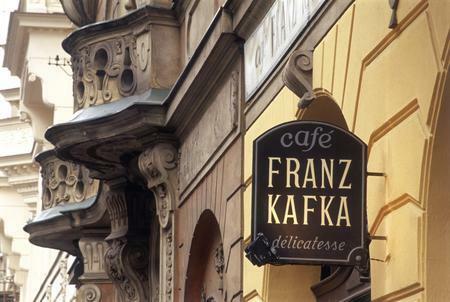 Prague in his novels is a city without memory. It has even forgotten its name. Nobody there remembers anything, nobody recalls anything … No song is capable of uniting the city’s present with its past by recalling the moments of its birth. Time in Kafka’s novel is the time of humanity that has lost its continuity with humanity, of a humanity that no longer knows anything nor remembers anything, that lives in nameless cities with nameless streets or streets different from the ones they had yesterday, because a name means continuity with the past and people without a past are people without a name. In his essay, Milan Kundera explores the theme in relation to the way in which an attempt had been made by the state authorities to change the awareness of the identity of the Czech people since the end of World War II. An attempt has been made to erase the nation’s memory, and through this the identity of the people has been eroded. The first step in liquidating a people is to erase its memory. The culture, traditions, songs, religious commitment, political ideas embodied above all in the literature and the poetry of the community are important vehicles communicating and challenging the identity of the society. But in many instances, in the Church of Ireland, we have forgotten the culture, tradition, songs, commitment, politics, literature and poetry of the community of which we are part. And by erasing that memory of the past we have found ourselves stumbling around in the dark of the present, with road signs or street names to help us find our place. In the past, there has been such a separation between Catholic and Protestant culture in Ireland that it has been a deep chasm that is reflected in cultural and even in everyday life until quite recently. I do not know how extensive the problem of bats in the belfry is for your parish. But there are two principal bat species in Ireland: now one type of bat favours attics and the other favours more open spaces. But in church ruins in Ireland, there is a preponderance of attics in the ruined Church of Ireland parish churches, so that there was a rumour recently that Irish bats were divided on sectarian grounds: Protestant bats and Catholic bats. But culturally there has been a big divide between Protestants and Catholics even on the playing fields: rugby was essentially a Protestant game, played in Protestant schools, to which middle class Catholics were invited under sufferance. While Gaelic football and hurling were almost exclusively Catholic – well, those were the perceptions. The Irish language was perceived – on both sides – as being the preserve of Catholics, and of Republic Nationalist Catholics at that: and this despite the fact that the first book printed in Irish was The Book of Common Prayer, that the first President of Ireland, Douglas Hyde, a Rector’s son, was a Professor of Irish and one of the key figures in the modern revival of the Irish language. There were different perceptions of what to expect on each other’s farms, in each other’s homes, how each other set standards as employers and employees. A Russian diplomat who had been posted in Dublin many years ago returned to Moscow and wrote about his perceptions of Ireland. He claimed he could know whether he was at a dinner party in a Catholic or a Protestant household: Catholics arrived late and left late, Protestants arrived early and left early. But this cultural chasm, this gap that reinforced behavioural patterns, has also deprived us as a Church of finding easy opportunities to be reconciled with our past, with our present, and with our future. There are many things in the past that I cannot be reconciled with. As Archbishop Rowan Williams reminded the Lambeth Conference in 1998, it is very hard for us to accept that we are members of the Body of Christ when we consider that the body includes people in the past who waged crusades, who carried out the Inquisition, who linked mission and colonialism. But they are dead, and they remain part of the Body of Christ, of the one Church I confess as part of the confession of faith each week. I can do nothing to excommunicate them now. I must accept that I will be reconciled with the past, including the ugly past, in Christ’s own plan for the future. Not being reconciled with our past has deprived many of the Church of Ireland of the great riches our neighbouring churches find it easier to claim. A few years ago, we had a visit here from the House of Bishops of the Church in Wales. Back in the 1990s, while I was at a course in the College of the Ascension in Birmingham, a group of Welsh ordinands who realised I was testing my own vocation to ordained ministry, presented me with a small book on Celtic spirituality. It was a kind and generous gesture. But our failure to reconcile ourselves with the past has made Celtic Spirituality in Ireland something for “them” rather than “us”. And that has deprived “us” of so many riches. We are unaware of the great stories of the Celtic saints who founded and built up the church in Ireland. We are unable to understand the wonders of the great, carved high crosses that speckle the Irish countryside. We are unable to understand the significance and the spirituality that lay behind the founding of many of our cathedrals and parish churches. It deprives us of some of the wealth and the insights of the founding fathers and the founding mothers of Irish Christianity. The cathedral in Kildare, a small market town 50 km south-west of Dublin, is dedicated to Saint Brigid, one of the three patron saints of Ireland and a woman who was abbot of a mixed community of men and women. During the debate on the ordination of women in the Church of Ireland, I cannot recall one reference to Brigid as one of the apostles of Ireland, nor any reference to the popular mediaeval depiction of Brigid as a mitred abbot. For many years, I worked in Tallaght parish on the margins of Dublin. Externally, this is a marginalised, urban deprived area. A large shopping centre and dull drab housing make up a city that does not even have its own council or mayor, yet it is big enough to be Ireland’s third city. The Church of Ireland parish church, Saint Maelruain’s, stands on one of the earliest monastic sites in Ireland, associated with the Ceilí Dé movement, an early reform movement in the Celtic Church, and such a centre of learning that it was once known as one of the “Eyes of Ireland”. In the early 19th century, the last remaining monastic buildings were demolished to provide building rubble to erect a new parish church. Memory was erased, was bulldozed. Today in a dormitory city, where people feel they have no roots and where they have no sense of continuity, the only common focus is a pyramid-shaped shopping centre known as “The Square.” If only the church had retained its memory, those people could have found a sense of identity, a sense of rootedness, in a centre of prayer and worship that dates back through the centuries, and that should be giving them hope for the future. If we are not aware of the stories of our past, if we are not aware of the riches of the iconography of our saints from the past, then we have been truly impoverished – but not for the sake of the Gospel. The attitude that Celtic Spirituality is “something for them rather than us” is dangerous: in other ways too. If we leave it aside, then we abandon it to quacks and those with fertile religious imaginations; but also fail too to tap into one of the spiritual vocabularies used by thinking and questioning people today; and we fail therefore to understand their agenda and their questions on faith topics. And that is a failure in mission too. In addition, we are unable to understand how hurt in the past lives in memories, even unarticulated memories, and has shaped attitudes to us today. But we have forgotten that each one of these controversies dogged the Church of Ireland in previous generations, along with rectors who were flogging and hanging magistrates and bishops caught in scandalous positions with naked sailors in London taverns. But there was worse: as we have seen in our survey of the history of the Church of Ireland, for generations the bench of bishops of the Church of Ireland provided the working majority of the Irish House of Lord, where on their own initiation, they pushed through iniquitous laws aimed against Roman Catholics and remembered to this day as the Penal Laws. Invariably, until the Act of Union was passed in 1800, two out of three of the highest offices of state in Dublin were held by members of the House of Bishops. Over the past 200 years or more, the Orange Order has been seen one of the strongest vehicles for perpetuating sectarianism on this island. Admittedly, in many parishes, the Orange Order is a benign and benevolent, organisation. Its older members regard it as merely quaint that Roman Catholics are excluded, in the same quaint way that “ladies” are excluded from membership. But so too in the past Presbyterians were excluded from membership. We have allowed ourselves to forget that this organisation was formed firstly to protect the interests of the Church of Ireland as the established church, at a time when the prelates and the landed aristocracy combined to form what was known as the “Protestant Ascendancy”. Fear of the past, and clinging on to the memories of past fears, also immobilise us in the transition from the past to the present. Fear that innovation or moving towards ownership of the insights of modern liturgical thinking will deprive us of our identity and make “us” more like “them”. This attitude deprives people of the opportunities to worship at the weekend and to have their rector stay long enough at the church door afterwards to give them pastoral attention and a listening ear, instead of racing off like Michael Schumacher to the next ecclesiastical pit-stop. This attitude deprives people of an opportunity to have regular sacramental ministry. This attitude deprives them of sharing the same worshipping experiences as their neighbours, because if we cannot worship together then at least if we can worship at the same time as a community it can engender an amazing sense of a shared worship life in small towns and villages. Our fear of the liturgical movement and liturgy innovation has left us afraid not just of bells and smells, but of candles and icons, of the healing ministry, of aural confession, of our priests wearing our Sunday best on Sundays. The beginning of the story of reconciliation in Ireland is a little bit more difficult to trace. As the violent clashes in Northern Ireland unfolded in the wake of the failure of the civil rights marches of the 1960s, there were a number of efforts to try to form peace movements, some of them sad failures, some of them sad constructions in themselves. Sad failures would include that beautiful but ineffective movement, “What Price Peace?” that arose from a lone vigil by a bereaved Church of Ireland priest, the Revd Joe Parker. Sad constructions included movements like PACE, Protestant and Catholic Encounter, which brought middle class people together for morning coffee and afternoon tea, and wondered why there couldn’t be reconciliation without first exposing the wounds of the past to the light of the sun so that they could be healed. Can there be any real reconciliation without a healing of memories? The use of the word reconciliation was probably inspired by Coventry Cathedral. We used the Litany of Reconciliation from Coventry Cathedral in the chapel last Friday morning [19 February 2016]. But there the word reconciliation had been adopted by the bombed, by the victims. Is it wrong for the demand for reconciliation to be first made, without facing up to the hurt of past injustices? At a meeting of peace groups from across Ireland, I once raised the issue of nuclear weapons, and the move to deploy a new generation of nuclear weaponry, Cruise and Pershing Missiles, in Europe. I was sternly told by a group of Belfast women that the nuclear arms race had nothing to do with the “peace movement” and I was publicly berated by one clergyman at the meeting who accused me of not being interested in reconciliation, of, yes, being a Communist. Reconciliation was all right if you were going to bring back investment to Belfast. But we dare not talk about reconciliation in terms that challenged the rhetoric of the Cold War. Needless to say, we have moved on since then. It may emerge in time that we will agree that real reconciliation in Ireland, as far as the churches are concerned, can be traced back not to the morning coffee and afternoon tea gatherings in South Belfast, but to the pioneering work of the Jesuit, the late Father Michael Hurley, and his friends who established the Irish School of Ecumenics. In coming to terms with the present, in reconciling our religious traditions and cultures, and in reconciling those of us who live in the present with the ugly heritage and memories of the past, the Church of Ireland has eventually been involved in a three-stage process. 2, Moving beyond Sectarianism: This programme was followed by the Irish School of Ecumenics with a programme called “Moving Beyond Sectarianism”, a six-year research project focussing on the role of Christian religion in sectarianism in Northern Ireland. Instead of demonising the more violent, bigoted and overt expressions of sectarianism, the project chose instead to highlight the subtle, polite and understated expressions of sectarianism. This form of sectarianism seems innocuous but serves as an essential underpinning for the ethos of antagonised division that allows the more blatant expressions to flourish. It pointed the finger at each and every one of us – we were all to blame, and we all needed to take responsibility if we were going to move beyond sectarianism and bring about real, lasting reconciliation. 3, The Hard Gospel: The next stage came the Church of Ireland took the challenges of these projects seriously and we started to own them for ourselves so that the process took on a new dynamic. The General Synod established a Sectarianism Education Programme, and commissioned a scooping study, The Hard Gospel, which did not have to dig too deep to find out how deeply rooted sectarian attitudes and values were throughout the Church of Ireland. But we all know reports are not the end. So often we are used to reports being received by General Synods, and that is it. In this instance though, the report was handed down to Diocesan Synods, where it was discussed, in most cases, not as part of the normal business that has to be rushed through as one of many items on the agenda, but at special sessions, called with only one item on the agenda, The Hard Gospel. And the dioceses have sent the report on the parishes, in the form of study packs, each unit beginning with a Gospel study but then demanding a critical look by the participants – whether they are in parishes north or south of the border – at the barriers and boundaries in their own parishes. Have we heard all we going to hear, or are we going to hear more about the Hard Gospel in the years ahead? The process (note the high level of response and engagement in the survey). How do you feel (in general) about the topics covered? Should some have been omitted? Should some have been included? Defining sectarianism: did you find this difficult? Church of Ireland identity: do you find this limiting or liberating? Ethnic difference and asylum seekers. Political difference: how political can you be? 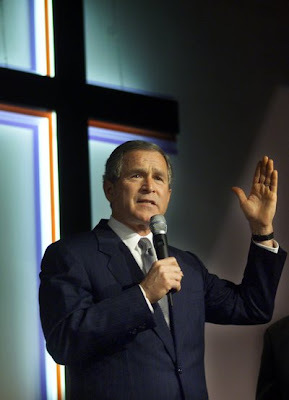 What do you think of clergy involved in politics? Theological difference: how comfortable are you with that? Relationships with other churches and inter-church activity. 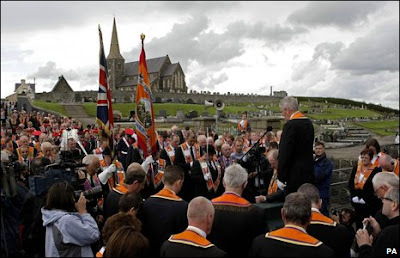 The loyal orders and Drumcree: How do you respond to Drumcree? Responding to society in general. Training and resourcing of clergy. How can you use the Hard Gospel in a parish? What issues over-emphasised or should not be there (e.g. sexuality)? We have realised we are only starting to scratch the surface. But itching wounds are wounds that want to heal. We are naming the beasts. They are ugly and they breathe deadly fire. But by naming them we are acquiring the courage to be reconciled not just with the past and the present, but with the future. The problems we have to face in the future are many. They include not only theological differences, but inbred, generations old class values, snobbery, elitism, and indifference. “Here in Northern Ireland, we find ourselves in a time of both great change and of numbed ‘stuckness’. We are uncertain, in our post-traumatic ‘peace’ about whether or not we can find our way through to a complete resolution of our troubles. And we are uncertain about whether the Belfast Agreement can provide the foundation we had hoped for, which would allow a society to develop which would include all, and have the loyalty of all. But at least we have made a start. We have begun to own the process of reconciliation. We have named the beasts, now are we prepared to move on and slay them? Are we ready to be reconciled with the past, held in our memories; reconciled with the present; and reconciled with what the future can hold for us as potential as we move forward as a church in mission? 29 February 2016: reading week. 7.1: Partition, conflict and peace: the Church of Ireland in the 20th and 21st centuries. 7.2: Theologies of reconciliation and the challenges of divided societies (M Volf, R Schreiter, J de Gruchy). (Revd Canon Professor) Patrick Comerford is Lecturer in Anglicanism, Liturgy and Church History, the Church of Ireland Theological Institute. These notes were prepared as a briefing paper for a seminar on 22 February 2016 as part of the MTh Year II course, TH 8825: Anglican Studies in an Irish context. Mondays: 10.30 a.m. to 1 p.m. The Hartin Room. Last week [15 February 2016], we looked at some of background to and experiences of sectarianism, North and South of the border. Some these were so culturally rooted that it is difficult to challenge them as we live our lives of mission and ministry in the Church. Others, at times, seem to be enshrined in legislation. Most of us probably react with embarrassment and cringe when we face up to our own intimate experiences of nationalism and identity expressed as Christianity, especially when they relate to our own families, our own parishes, our countries. How long have you thought that these experiences were unique? Part of the cause of social embarrassment is being over self-aware, and feeling that few if any share the same experience. Shame goes hand-in-hand with public exposure. ● Why is this happening in my parish/diocese? ● How often have you been exasperated, wondering do things like this happen only in Ireland? ● Only in Northern Ireland? ● Only in the Republic of Ireland? ● Only in the Church of Ireland? This morning, I would like us to discuss the conflict of cultures and the place of religion in conflict, especially looking at the link between Christianity and nationalisms. This is not only a concern for the Church of Ireland, or for Christianity, or for Ireland, but this is a global concern. We live in a world of conflict in which religion plays a key role. 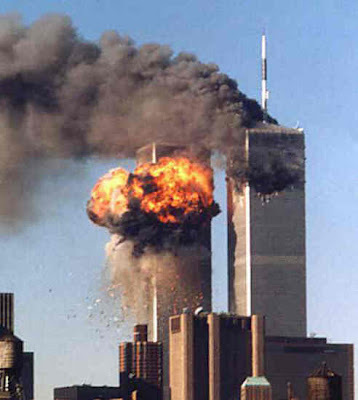 Have our perceptions of Islam changed after 9/11? ● The conflicts between Shia and Sunni Muslims in Iraq, Pakistan, and many Gulf states. Our cultural assumptions about religion frames and is framed by the language we use about conflict. For example, there has been a series of bombings in Bali, in which have killed or injured many tourists. 2, Unlike the rest of Indonesia, Bali has a strong Hindu presence, making it an oasis of peace. Are there some religions we are culturally conditioned to think of as peaceful? 1, That there are peaceful religions, and there are violent religions. In particular we are culturally disposed towards thinking of Hinduism and Buddhism as religions of peace, and Islam as a religion of violence. 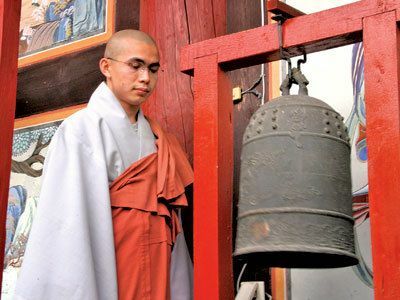 And yet, one of the factors in years of political violence in Sri Lanka – another island that once had the image of being an island haven of peace – is the tension between Buddhists and Hindus, and the Buddhist sangha or monks were among the most vocal critics of any government effort to enter dialogue with the Tamil Tigers. Indeed, the image of violent Buddhists runs contrary to historical reality. 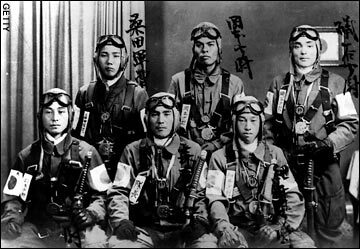 Yet, how many Japanese suicide pilots went to death in World War II chanting praise to Buddha of with the words from the Lotus Sutra, Namyoho Renge Kyo? 2, The second image is that those violent religions usually boil down to one religion in particular, that is, Islam. We have inherited a cultural prejudice that Islam is a religion with an inherent violence built into its thoughts, values and teachings. Popular media regularly conveys images of Islam as a religion of institutionalised violence, expressed in judicial sentencing, such as stoning, chopping off hands, and of social violence, typified in how we discuss jihad, the threats from Isis, suicide car bombers, the attacks in Paris, New York, Madrid and London, the wars in the Middle East, the export of violence or the perceived nuclear threat from Iran, Hamas and Hizbullah in Palestine and Lebanon, or Chechen fighters in the former Soviet Union. 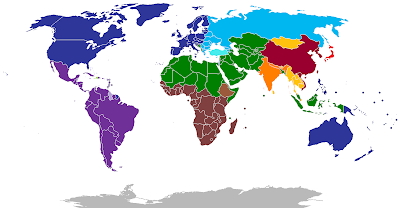 In a paper in the journal Foreign Affairs in 1996 that gave its title to a subsequent book in 1997, Samuel Huntington spoke of a “clash of civilisations” between the Christian or post-Christian world, and the Islamic world. Despite the apparent outworking of some of his predictions, there are many faults in the theory of an inevitable “clash of civilisations.” Huntington equated a religion with a civilisation, so that Islam is a unitary political, social and definable “civilisation” that depends on a religion for its understanding and explanation, while Christianity underpins western civilisation, and that Islam made no contribution to Western culture and civilisation. But there is also a reality that must concern us. Many people associate religion with violence, and with war. For example, Polly Toynbee wrote a commentary in The Guardian in the run-up to the first anniversary of 9/11 (6 September 2002) that was headed: ‘Religion isn’t nice. It kills’. One of the major criticisms of religion in general, and religions in particular, is the role of religion in violence and conflicts. In all religions, and we should be aware of it most in Christianity. Awareness allows us to face one of the main criticisms of Christianity from those on the margins, and allows us to have some terms and terminology so we can face the problems of violence in our own areas. 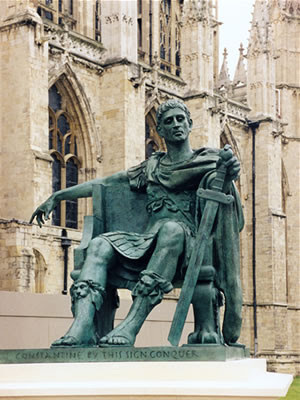 Constantine the Great … the beginning of Christendom? Christendom is not co-terminal with or another phrase for “the Kingdom of God.” But it has often been misrepresented as such. The term “Christendom” may have several meanings, but it refers in particular to a world view that identifies Christianity with cultural, economic and political expressions of a society that is perceived as being normative for or a standard for the rest of human society. It is a common perception that the Church was pacifist until the Constantinian settlement, when Constantine issued the Edict of Milan in AD 313, extending toleration to Christianity. This claim needs objective historical analysis, because it is often argued from a partisan viewpoint. Other questions we need to ask include whether the Church under persecution could consider co-operating with the state in such circumstances, and whether there was a separation of the role of policing and the role of the army? The earliest use of the terms Christianity (Χριστιανισμός) and Catholic (Καθολικός) is in the writings of Saint Ignatius of Antioch (2nd century). The word Christendom comes from the Latin word Christianus. The Christian world was also known collectively as the Corpus Christianum, often translated as the Christian body, referring to the community of all Christians. The Christian polity, embodying a less secular meaning, has been compared with the idea of both a religious and a temporal body: Corpus Christianum, and at times the Corpus Christianum has been seen as a Christian equivalent of the Muslim Ummah. But of course, from where we stand geographically, Christianity began in the East, or at least in the Middle East or the Eastern Mediterranean. In looking at early church history a few weeks ago, we noticed briefly how Christianity spread through the Classical or Greek and Roman world in the apostolic and then post-apostolic period. The period of Early Christianity came to a close when the imperial persecution of Christians ends, with the coming to power of Constantine the Great, the Edict of Milan (313), and the First Council of Nicaea (325). Later, Christianity became the state religion of the Empire under the Edict of Thessaloniki in 392 when the Emperor Theodosius I prohibited the practice of pagan religions and the Church gradually became a defining institution of the Empire. And so, we can see, the Christian attitude to war begins to shift after Constantine and with the writings of Augustine (died 430). Was this good theology, or was it forged in the face of a real threat, with the barbarians at the gates? 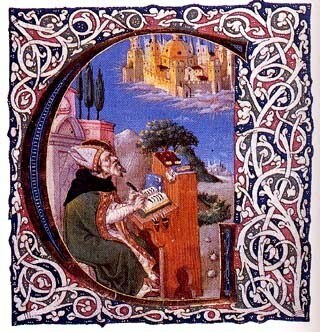 Augustine wrote The City of God shortly after Rome was sacked by the Visigoths in 410. But, even then, is it any less valid a way of formulating theology in the face of the real pressures of life? After the Barbarian invasions and the fall of the Roman Empire in the West, a new threat was posed to Christianity with the rise of Islam, the Muslim capture of Jerusalem in 638, the arrival of Muslim armies in Europe, and the threat to the New Rome, Constantinople. As the Empire in the West disintegrated into feudal kingdoms and small states, the concept of Christendom changed as the western church became separate from the Emperor and Christians in the Empire of the East. In the East, the Byzantine Empire saw itself vas the last bastion of Christendom. Christendom entered a new phase with the rise of the Franks and their conversion to Christianity. Christendom later refers to the mediaeval and renaissance notions of the Christian world as a socio-political polity. In essence, the earliest vision of Christendom was a vision of a Christian theocracy or a government founded on and upholding Christian values, whose institutions are spread through and over with Christian doctrine. In this period, the clergy wield political authority. The specific relationship between political leaders and clergy varied. But, in theory, the national and political divisions were often subsumed in the leadership of the Church. On Christmas Day 800, Pope Leo XIII crowned Charlemagne as the Emperor of what became the Holy Empire. This empire created an alternative definition of Christendom in contrast to the Byzantine Empire. The question of what constituted true Christendom would then occupy political and religious leaders for generations and centuries to come. The pontificate of Innocent III is considered the height of temporal power of the papacy. The Corpus Christianum describes the then current notion of the community of all Christians in communion with the Pope – a community guided by Christian values in its politics, economics and social life. However, in the East, Christendom was seen as co-terminus with the Byzantine Empire, which was gradually loss of territory in the face of the rapid expansion of Islam and the rise of new Persian Empire. Until the Great Schism divided the Church religiously, there had been a concept of a universal Christendom that included the East and the West. But this was rocked by the Great Schism and was destroyed by the Fourth Crusade. The Crusades originated in Western Europe, particularly in the Frankish realms (France) and the Holy Roman Empire. They were proclaimed as a campaign, fought under the Cross, to reclaim control of Jerusalem and the “Holy Land” for “Christendom” and were fought for almost two centuries, between 1095 and 1291. Initially the Crusades were proclaimed for the recovery of Jerusalem and the ‘Holy Land,’ and the protection of pilgrims, but they soon became a ‘holy war’. 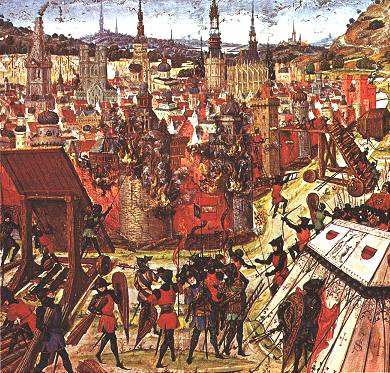 In the First Crusade (1095-1099), at the capture of Jerusalem in 1099, Orthodox Christians fought alongside Jewish and Muslim residents to defend Jerusalem against the Crusaders, so that many Christians were slaughtered alongside their Muslim neighbours. Some of the crusade expeditions were diverted completely from their original aim. 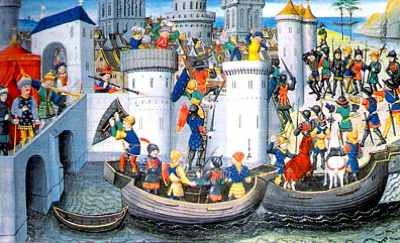 The Fourth Crusade (1202-1204) resulted in the sack of Constantinople in 1204 and the partition of the Byzantine Empire between Venice and the Crusaders, and hastened the destruction of Byzantium. But it was not until the Sixth Crusade (1228-1229) that any Crusade received the official blessing of the Pope. Dante in his Inferno places Muhammad in the Eighth Circle of Hell as a sower of discord, along with Christian schismatics, while in a frozen lake at the bottom of hell he placed Ganelon, who betrayed Roland and the rear-guard of Charlemagne’s army. In the Fifth Heaven he placed the Crusader King, Godfrey of Bouillon. We still use, misuse and abuse the term “Crusade” when we are describing certain campaigns. The Crusades have left far-reaching political, economic, and social legacies that continue to survive in our time. The Western Church was boosted in its political authority and its perception of a shared boundary with Christendom through the shared experience of the Crusades, the fight against the Moors in the Iberian Peninsula, and against the ottomans in the Balkans. But some of its worst expressions were also found, for example, in the Inquisition, the pogroms directed against Jews, and “crusades” against heretics, such as the Albigenses and the Cathars. 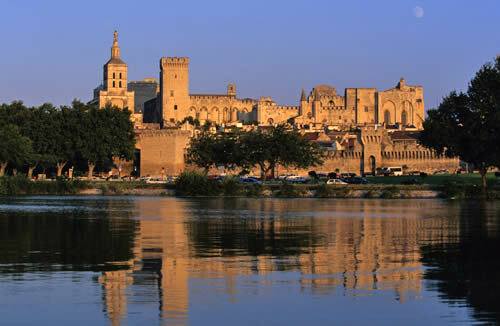 Western Christendom faced a major crisis of identity with the Western Schism and the Avignon Papacy, a split that came to an end only with the Council of Constance. And mediaeval Christendom was also challenged by the reputation of morally lax pontiffs and their dependence on secular rulers, coupled with greed for material wealth and temporal power. The Reformations and the concurrent rise of independent states gave the term “Christendom” a new, more general, meaning in Western Europe, signifying countries that were predominantly Christian – whether they were Catholic or Protestant – as opposed to Islamic or other countries. Post-Reformation Roman Catholics the restoration of Christendom and argued that, the term applied to the civilisation of Catholic nations that espoused the doctrine of the Social Reign of Christ the King, and that recognised the Roman Catholic Church. The Hundred Years’ War accelerated the process of transforming France from a feudal monarchy to a centralised state. The rise of strong, centralised European monarchies was part of the transition in Europe from feudalism to capitalism and the rise of modernity. The Peace of Augsburg in 1555 officially ended the idea among secular leaders that all Christians must be united under one church. The principle of cuius regio eius religio (“whoever the king, his the religion”) established the religious, political and geographical divisions of Christianity. The Treaty of Westphalia in 1648 ended the concept of a single Christian hegemony. After that, each government determined the religion of its own state, and the wars of religion came to an end. With the Treaty of Utrecht in 1713, the concept of the sovereign national state was born. The Corpus Christianum has since existed with the modern idea of a tolerant and diverse society consisting of many different communities. The nation state, in seeking to define itself, must by definition limit itself. These limitations find a number of expressions, such a language, a constructed culture (including music, poetry, drama, songs, architecture and paintings), and, of course, religion. Is it possible to imagine the construction of the modern Italian state – proclaimed over 154 years ago on 17 March 1861 – without a shared Italian language, seen as the creation of Dante, and expressed in the operas of Verdi? Consider how the revival of the Irish language and the popularisation of images such as Round Towers and Celtic High Crosses came at a crucial time in Irish nationalism in the late 19th century. Germany is a modern nation state without a shared religious identity. Nevertheless, it still resulted in the most profane effort to exclude one religious expression – the Holocaust. In the creation of the modern Greek state and the modern Turkish state, religion played a key role in the forging of national identities, so that Greek was equated with Orthodox Christian and Turk with Muslim. The consequences of this reached beyond the generations, after the creation of an independent Cyprus in 1960. The Muslim/Christian dividing line defined the line of advance when the Turks invaded Cyprus in 1974. Did religion define nationality for Europe nation states? What role does it play in our understanding and creation of a new European identity? But this is not solely a European phenomenon. Religious identity has been used to define separate national identities in India and Pakistan. This has created problems for those outside these definitions, including Christians and Sikhs, and the conflict continues between Hindus and Muslims, with violence constantly and continually threatening to inflame border conflicts between Pakistan and India. Religion has been a factor in many of the conflicts in Europe in the 1990s. As Yugoslavia was breaking up, the labels Catholic and Orthodox were used to distinguish Croat from Serb. When Muslims in Bosnia and Kosovo slaughtered, was it because they were Muslims in Bosnia (where they were otherwise like all other Slavs)? Was it because they were Albanians or Muslims in Kosovo? In Egypt, many Arabs and Muslims have found it difficult to see Coptic Christians as true Egyptians. On the other hand, the word Copt means Egyptian, and many Christians have seen themselves as the true and authentic Egyptians. 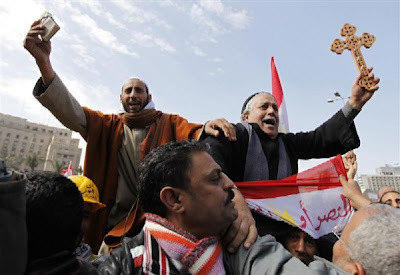 To what degree did religious divisions play a role in the more recent conflicts in Egypt? What about the conflicts in Sudan and the Central African Republic? Is this a conflict between Arabs and Africans in Sudan, or between Muslims and Christians in both countries? And did the churches become too closely identified with the cause of Southern Sudan? Consider the conflict in Israel and Palestine. Is this a Jewish-Muslim conflict? How do Christians whose families have been living there for generations and centuries feel in terms of their identity? Is there a place for them there? Was the invasion of Iraq built on a case for a ‘just war’? Or did it build on our traditional antipathies towards, fears of, and misconceptions of Islam? With the murder of 21 Egyptian Christians in Libya last year [February 2015], what are the appropriate Christian responses to violence? What do we mean by a ‘just war’? In today’s world, how do we move from encounter to dialogue and understanding? 7, Due proportion between the benefits sought and the damage done. 1, Guaranteed immunity of non-combatants. 3, International treaties must be honoured. Were these conditions met in Northern Ireland? Who was responsible for meeting these conditions? Can there be an ‘unjust’ war or a ‘just’ revolution? Or are these models relevant? The word jihad in fact has its roots in the Arabic verb to exert, and means not holy war (as translated by Thomas Aquinas) but an exertion on behalf of true religion and submission to God. On the other hand, Islam allows no other form of war and violence except that with some religious objective. (Revd Canon Professor) Patrick Comerford is Lecturer in Anglicanism, Liturgy and Church History, the Church of Ireland Theological Institute. This lecture on 22 February 2016 was part of the MTh Year II course, TH 8825: Anglican Studies in an Irish context. I look upon every day to be lost in which I do not make a new acquaintance.